The HOPE Canvas, background and assembly by artist Veronica Gray. 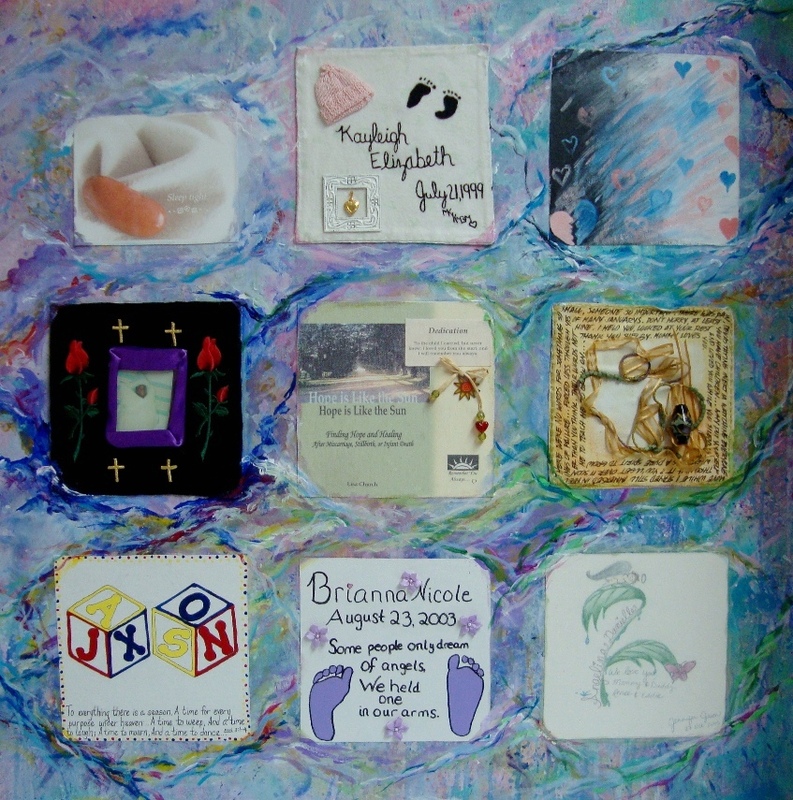 The HOPE Canvas is a way to remember and honor a baby who has died from miscarriage or stillbirth. The original canvas includes 9 squares made by families in memory of their babies. The HOPE Canvas is now virtual, to make room for the thousands of babies that die each year before their time. Want to Add a Square? Create a square (the original squares are 12 inches by 12 inches) and decorate any way you wish. It can be real or digital. Take a photo of your square (no more than 1 meg please). Email it to info@HopeXchange.com to become a part of the HOPE Canvas on instagram. Please type “Hope Canvas” in the subject line of your email. Be sure to follow Hope_Canvas on instagram so you can share your square with friends and family.